What connections, tools and solutions do MBGH members enjoy? Market data to strengthen the business case and/or share with employees, including eValue8 health plan data, Leapfrog Hospital Survey results, physician performance, and patient experience-of-care data. 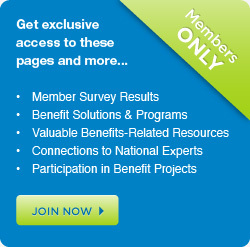 We work with each member to compare the member’s benefits and benefit design with national best practices and to identify specific areas for focus over the next year (under development).